We have all been full of cold so there has not been much time for art. Just as a note I will take teething over a cold with my son any day of the week. My painting sold last week for 50 dollars! Whoop I'm so pleased with that 50 dollars to a good cause and I get to say i have sold some work. 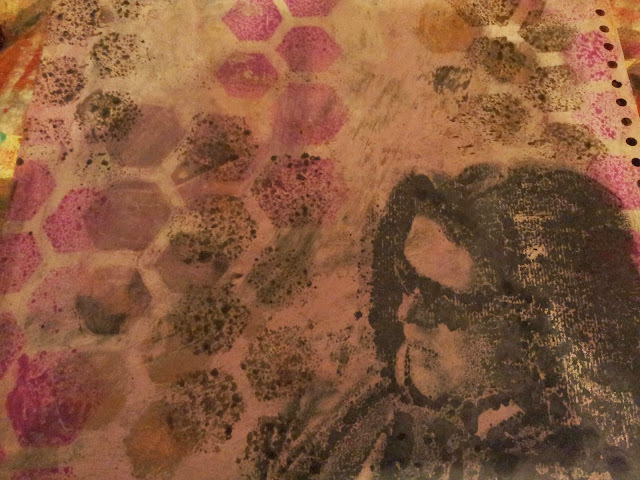 Playing with a photo transfer (photo is a holiday snap of my husband) in my journal this week. Love how its come out grungy and stuff. It was the first time have tried transfers might use it again but its not my normal style so we shall see.